French niche line Memo has launched Moroccan Leather, a new unisex fragrance in the brand's Cuirs Nomades collection. 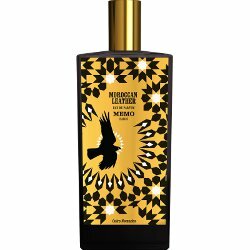 Memo Moroccan Leather is available in 75 ml Eau de Parfum. I used to not want to smell like leather either, until I smelled a few good ones, now I’m all about leather. This one seems like it’s nice, but I don’t know this house.